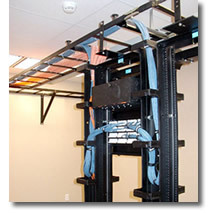 Telecommunications Design/Engineering – IEC Integrated Engineering Consultants, Inc.
Telecommunications Design – IEC begins each new project with network and hardware requirement analysis resulting in reduced installation time and project costs. We stay updated on vendors latest equipment assuring our customer’s telecommunications systems will incorporate leading edge technology able to support their current needs while anticipating technological change. IEP stands with our clients through every step of the telecommunications design/engineering process. Our focus covers analysis, design, bidding, optimization and management. And the process is not complete until our customers understand and feel confident with the end results.